Just a few weeks ago I was down and out with one of those annoying summer colds. Having no energy to do anything, laying there next to my plethora of cold remedies, I started reminiscing about the days when fellow astronomer, Dale Alan Bryant and I would go out night after night visually hunting for extragalactic supernovae. Of course, while reliving those fond memories, I couldn't help but dwell on the night we independently discovered the extragalactic supernova in the spiral galaxy M66 in the constellation of Leo on the morning of February 11, 1989. 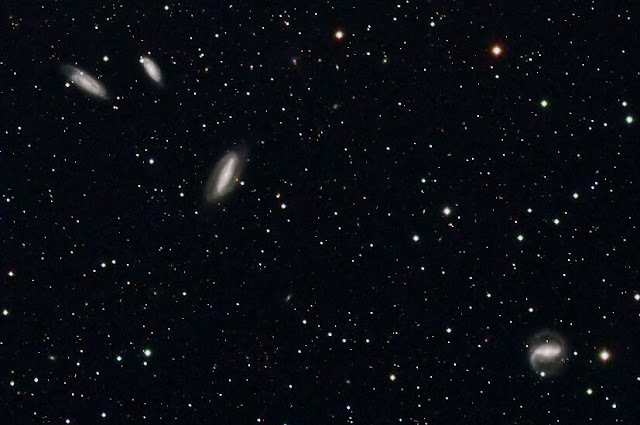 "Grus Quartet" - Imaged by Michael Petrasko and Muir Evenden of Insight Observatory. I started thinking how great it would be to start or join such an exciting and fulfilling program again. I could actually start "observing" galaxies while recovering from my cold without taking the risk of worsening my condition by staying up during the late night hours visually observing galaxies. My other thought was that there aren't many galaxies to observe in the northern hemisphere during the nighttime hours this time of year. But wait! I can now observe galaxies and hunt for extragalactic supernovae during the daytime hours. I got out my Chromebook and loaded up the Stellarium planetarium app and briefly scanned for galaxies that I could image and look for exploding stars within. Stellarium showed me a grouping of four different types of galaxies in the southern constellation of Grus, the crane. I then logged into our account on the telescope network that we utilize for astronomy education here at Insight Observatory. I figured a wide-field telescope would be the appropriate instrument to capture all four galaxies together within the same frame. 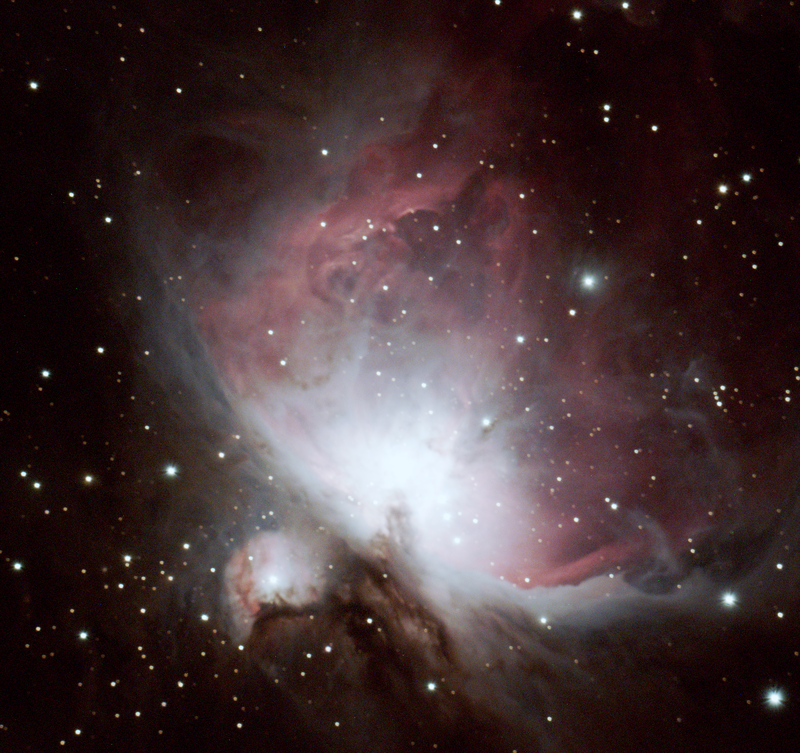 The remote telescope of choice was a 4-inch Takahashi FSQ ED refracting telescope mounted on a Paramount PME mounting system along with an SBIG STL-11000M CCD imaging camera. Unfortunately, the telescope network was quite busy that day with other users accessing the remote instruments from all over the globe. 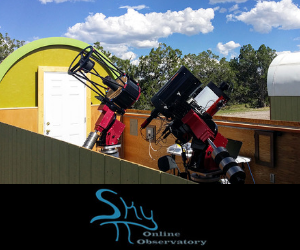 However, the telescope network has an intuitive reservation system that allows users to reserve telescope time and create an observing script to run during the time allocated for our use. As I started losing my energy once again, I figured that would be the best solution. I reserved a block of telescope time on the 4-inch refractor for the following day. The script I created was taking a series of 5-minute exposures with luminance, red, green and blue filters. This allows a color image to be created with the monochrome CCD camera. Fortunately, the weather was good the following day at the remote telescope site in Australia to acquire the images. Once the raw data was uploaded to our cloud-based server, my colleague Muir Evenden, processed the series of images in PixInsight to create a color image. I then took that image and post processed it in Adobe Photoshop. After analyzing the final product. I realized that this contemporary process of gathering data for extragalactic supernova searching is two-fold. There is the process of gathering the data that can be taught to students as well as the actual examining of the data. The Grus Quartet is a group of galaxies in Grus the crane. They consist of, NGC 7599, NGC 7590, NGC 7582 (largest and brightest) and NGC 7552 (farthest away from the main trio). Mike, what a great idea! I am so far behind the times. I have heard of Stellarium but never used it. My experience is that of a novice with it comes to computerized astronomy! Seriously, I don't know a thing about GOTO scopes, never used one. The first time I ever even heard the term was when you used it in a photo saw of you on the CCAS webpage.